SMA is pleased to partner with Sydney West Sports Medicine (SWSM) for this event on Long Term Athlete Development. Accredited Exercise Physiologist and Exercise Scientist Erin Keating will be joining us to discuss the growing research of young athletes in sport and how to support their developmental pathway from training to competition through adolescence to adulthood. The purpose of this seminar is to help you better understand the goals and guidelines of training young athletes and preparing them for longevity and success in their sport. 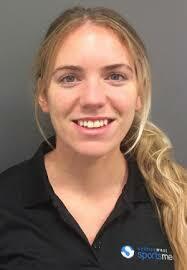 Erin is an Accredited Exercise Physiologist (AEP) and Exercise Scientist (AES) with Sydney West Sports Medicine. Erin also holds a Level 1 accreditation with the Australian Strength and Conditioning Association (ASCA). Erin graduated from the University of Ballarat after completing a Bachelor of Exercise Science degree with Honours. Her Honours research investigated the influence of training type on 5km running performance. Erin has also completed a Masters of Clinical Exercise at the University of South Australia. Erin has a diverse range of clinical Exercise Physiology experience including aged care, cardiac and respiratory rehabilitation, metabolic conditions and musculoskeletal injuries. In addition, Erin also has considerable experience working as a Sports Physiologist with both elite and amateur level athletes. Specifically, Erin has spent time at the Australian Institute of Sport (AIS) providing physiological support to athletes in the national Sprint Kayak, Swimming, Cross-Country Skiing, BMX, Triathlon, Basketball and Netball programs.